The following comments about attractions in Bandung have been posted from individuals. We believe that the best reviews of Bandung, Indonesia are written by travellers and holiday makers who have experienced Bandung first hand and want to share their thoughts. Can you share yours? Please help us expand this section of our Bandung World Guide. Let us know what you think about the attractions in Bandung, Indonesia. Submit comments about Bandung attractions here. Kawah Putih was just a three hour drive from Jakarta but the two might as well be on different planets. Amazing bodies of water here that are among the best I've ever seen. Of course those staying in Bandung won't have to drive for as long as we did. A piece of Art Deco genius is what Villa Isola is. 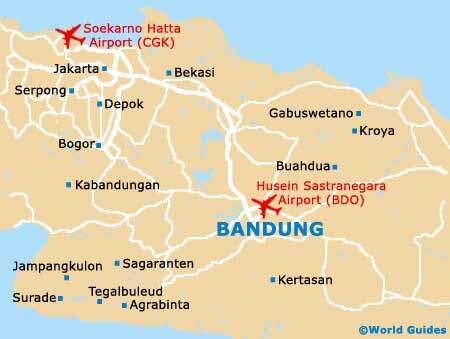 Most taxi drivers will know what you wish to see once you tell them the name and the fare won't break the bank as the attraction is under three and a half miles from Bandung city centre. Hello Ms. Rita! It is not going to be so education learning as Geology Museum but I think your kids will like Kampung Gajah amusement park and theme park. Please tell me if I'm wrong! I've been in few museums as well organised as Bandung's Geology Museum is and we were lucky enough to be able to take a nice one and a half mile walk there. If possible, I'd like to hear of more places that are child-friendly. Anyone claiming not to like outlet shopping might be telling porkies, as all of us love a bargain. Bargains are definitely what you will find at Rumah Mode Factory Outlet with all the top brand names featured. Most of the stuff is made locally in factories that the retail giants run, so you don't have to worry about fakes.